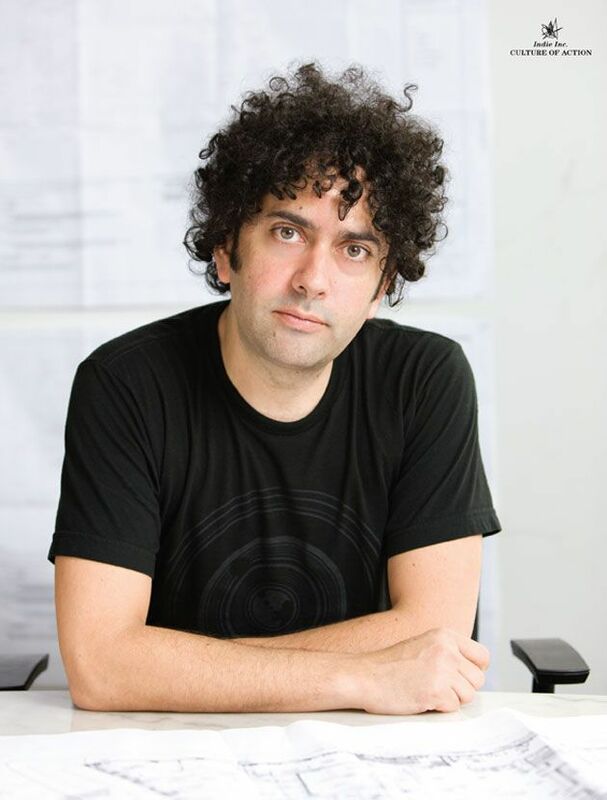 Hotelier Alex Calderwood died last week at the age of 47 in a room at his recently opened Ace Hotel in London, the fourth Ace iteration of a growing chain poised to become a global powerhouse. He was a friend for 20 years, someone I watched with fascination as he went from a 25-year-old Seattle hipster selling vintage sportswear to a visionary who revolutionized the staid hotel industry and brought it in line with contemporary living and thinking. My earliest memory of Alex goes back to April 5, 1994, a date etched in my mind because it was the day Kurt Cobain died. I was in Miami for an indie street wear trade show, where Alex had a booth selling vintage jeans. "There was a little vintage store in the apartment where I was living run by one of the key vintage dealers in the US who had really great sources and inventory," he told me years later when I interviewed him for a 2008 piece on 'indiepreneurs.' (This quote and the others used here are outtakes from that interview.) "At that time there weren't a lot of people doing vintage wholesale. We would take the jackets and add patches to them. Make them more marketable. One of the first people I called was Urban Outfitters who loved them and sold a ton of them. We took them to boutique shows." So when the news of Cobain's death broke, I wanted to to talk to Alex -- someone with roots in the Seattle grunge scene. We talked about losing someone who inspires you and the helpless feeling of wanting to help but being unable to connect. We bonded and stayed in touch, one coast to another. When he opened the Ace in Seattle, he invited me and Kim to come out as the hotel's first guests, which we gladly accepted. Already a local legend, he was known for throwing warehouse parties that featured electronica, hip-hop and jazz in a decidedly grunge rock scene. With his innate marketing acumen he produced great flyers and mixed scenes -- part gay, part straight, part hip-hop. "We really brought things together," he said, "and it was a great mix." Before the Ace, there was also Rudy's, inspired by a barbershop in Seattle that looked great but gave bad haircuts. According to Calderwood, "I always thought that if I could buy this barbershop and fill it with cool people it would be such a great thing. I couldn't get past the idea of buying the barbershop. [Calderwood's business partner Wade Weigel] said, 'why don't we just rent a space and we can build a barbershop that doubles as a tattoo parlor? The light went off. We rented a space on Pine St -- LES side of Seattle at that time on a block very much in transition -- junkies, the homeless, boutiques and coffee shops. Now I have -- I have to think here -- 17 barbershops." It doesn't take much imagination to see where the story is headed. An authentic member of the community he was catering to, Alex was his own focus group, essentially envisioning a hangout for people like himself, a place where his worlds all came together, the vintage look he loved, the music, the DJs, the food and the vibe, communal tables with lots of outlets for powering up laptops and mobile devices, the best coffee, an outpost of Opening Ceremony. Having run a club and an experiential marketing company, it all came together for him. "We learned over time and found a lot of people would go to the barber shops and they would sit and wait for a haircut up to two hours. To me that was 'wow.' What we learned is that it was more of a social experience -- like a bar without drinking. Hearing good music is, by its nature, not a one-to-one experience -- it's a group experience. In a barbershop you're sitting next to someone else. You have a group conversation going on. It becomes a cultural community center. We're starting to see the same thing in hotels, trying to make sure that locals are part of the hotel. Lots of times hotels are just for people who are from out of town but we try to create reasons and an atmosphere so that the locals will want to be there. And our customers will like that because they are engaging right away with the local fabric of the culture." By the time we sat for the interview quoted above, Alex was well on his way to being a very rich man. A business savant, he took his passions -- clothes, people, community, culture, marketing -- and rolled it into an immersive experience with rooms, a hotel, a hangout. There was no model for what he was doing, the very definition of an original, leaving behind a prototype that will reverberate for years to come. Most of all, Alex was a good guy, generous with his time, never flashy, always very real and down to earth, no small thing in the world of high finance and hospitality. Alex never went to college, but he was a great listener, learning as he went along. With his head of curly hair, dressed in jeans and t-shirt, he was his own best customer. A simple gut feeling told him it made sense to include art works by Kaws and Shepard Fairey in the first Ace Hotel years before they became famous. I last saw him about a week ago, when he stopped me leaving a party to say hello. We promised that we'd make time to have a meal and catch up and he filled me in on some of his new projects like the Ace London and others he was planning. There was no reason to think we wouldn't meet again. For his last words here on Papermag, I leave you with a bit of Alex's business philosophy: "You want to be a thread in the fabric of culture... I look back over the years and there were lots of ways I could have made more money, could have been ... not sharky, but strategic. If you pursue what you're into and you're good at it the money will show up. And I'm sure looking back there are a lot of things I could have done differently and made more money but firstly I like to pursue what I'm into. If someone is focused on just making money, and they're not passionate, they may not be as successful. Or as happy."